Bring your Alfa Romeo down for a complete 32-Point Inspection of items like the condition of your vehicle’s brakes, tires, fluids, belts, hoses, suspension, and more. We’ll give you a written report of what looks good and what needs attention. * Must provide coupon at time of write up. 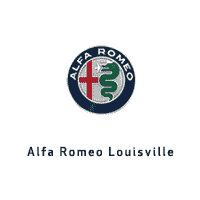 See your Alfa Romeo service consultant for complete details. Alfa Romeo Louisville will get your Alfa tracking straight and cornering like it should with our Wheel Balance & Alignment Offer. Our state-of-the-art equipment will electronically balance all 4 wheels and set your Alfa Romeo Alignment back to its factory specs – saving unnecessary tire wear and getting you tracking straight down the road again. *Plus tax & applicable fees. Must mention coupon at time of write-up. Not valid with other offers or on prior sales. Some restrictions may apply. See your service advisor for details. Keep your cargo area looking spotless with a durable molded cargo tray from Alfa Romeo. This genuine OEM accessory is made to fit the contours of your trunk for a precision fit that you can’t get with an aftermarket product. Save 10% this month! *Plus tax & applicable fees. Must mention coupon at time of write-up. Not valid with other offers or on prior sales. Some restrictions may apply. See your service advisor for details. Part #68353606AA. All Weather Mats and Cargo Liners keep your Stelvio’s flooring protected from daily wear and tear, moisture, and dirt. These genuine Alfa Romeo mats and liners are custom fit to your Stelvio’s footwells for superior protection. *Plus tax & applicable fees. Must mention coupon at time of write-up. Not valid with other offers or on prior sales. Some restrictions may apply. See your service advisor for details. Part #82216004AA and 68418506AA. From Alfa Romeo Shirts, Jackets, and Key Chains – to Custom Shift Knobs and other vehicle accessories – we’re offering 10% Off any Alfa Romeo accessory! See your service consultant or parts advisor for complete details.